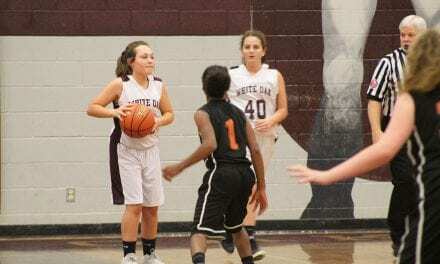 The White Oak Ladynecks ‘B’ team handed the Arp Lady Tigers a district loss last night with scores of 25-8, 22-15. Mackenzie Pickard, dominated at the service line with six serves and contributed to the team total of 19. Katie Hinch, Raylee Gajewsky, and Jamie Richardson also contributed three serves each. The Ladynecks have stepped up their game, specifically with serves and digs, and players contributed when the pressure was on. Raylee Gajewsky added three points and a dig to the set victory. 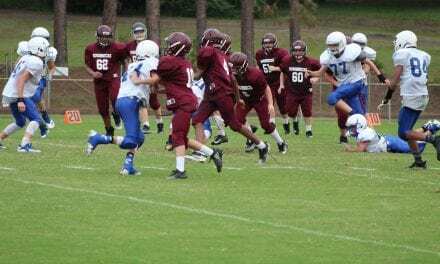 Coach Joey Bohn has tightened up the seventh grade game plan and taught them to play tough. Players are now consistently showcasing their skills and getting the win. The last game of the season will be on Monday, Oct. 22 on the road in Gladewater at 4:30 p.m.